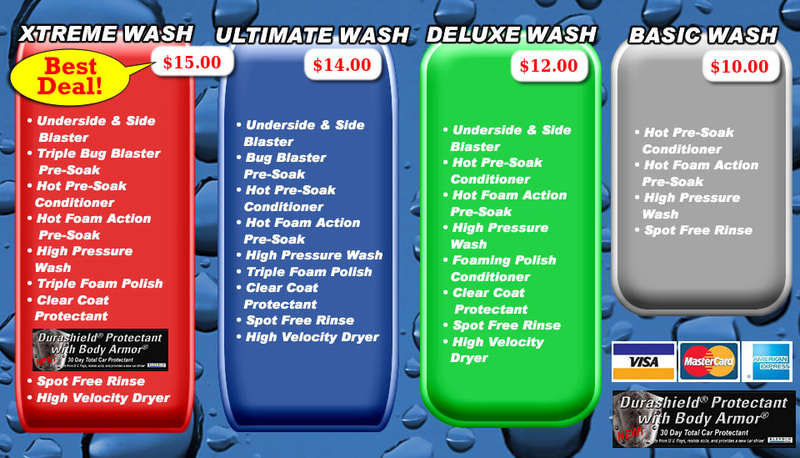 Pay here at our Auto Cashiers Choose your wash, then pay in whatever form is easier. It accepts cash, credit,and our tokens and value cards that our sold by our changers. Please not if you have a coupon you must hit the pound sign and then choose the appropriate wash, you'll see the discount taken off of the final price ! !